The world of tennis is preparing for shifting its attention to the last Grand Slam of the year in New York. The top seeds are approaching the US Open differently. This trend is poised to change the perception tennis game and complicate the expert Tennis picks equation. Roger Federer, the runner up at the 2015 event, won’t play at the upcoming tournament (as well as at the other events in 2016 due to his knee injury. As a result, the Swiss will drop out of top 10 and will have a very challenging start in 2017). Tomas Berdych has also pulled out of the US Open with appendicitis. Maybe the Czech wouldn’t have made a deуз run, but he has definitely given place to someone else. Gael Monfils’ participation is also under question. Now let’s have a look at what we might expect to see and who will struggle for the Grand Slam title. Despite most recent upsets at the Wimbledon (from Sam Querrey) and at the Olympics (from Del Potro), Novak is still the solid favorite to defend the title. Djokovic will be more sensitive throughout the first week. But shall he make it to the second one, his odds will go high. The Serb appeared to be unbeatable in spring when he lifted two Masters titles, Madrid Open and Roland Garros. We guess he will be able to rediscover his best form now. Nevertheless, there’ll be low-ranked players on his way to the final who are capable of seeing him off in the first four rounds. The Serb’s winning odds are about 40%. Andy Murray is playing the best tennis of his life. If Djokovic isn’t up to his excellence and Andy will do the utmost, he may try to jump on the first ranking line by the end of this season. And the victory at the US Open may make this task much easier. As for the Scot’s odds to the title, they are not extremely high. First of all, Novak shouldn’t make it to the final or to be fatigued in the last battle. And of course, Andy himself must be fully concentrated. If so, Murray is likely to win his career second US Open. But we guess that Murray will run out of gas and won’t capitalize to win the Grand Slam. The Scot’s winning odds are about 15%. We often analyze these players together. If the draw is kind to both of them and shall they avoid Murray and Novak, the Canadian and the Japanese stars may beat for the US Open title. The both are very talented and hard-working. But what is more important, they haven’t registered big wins. The both are highly productive this season and might be very dangerous this fortnight. Raonic has more chances between the both as he’s a bit fresher. The three has already triumphed in New York. 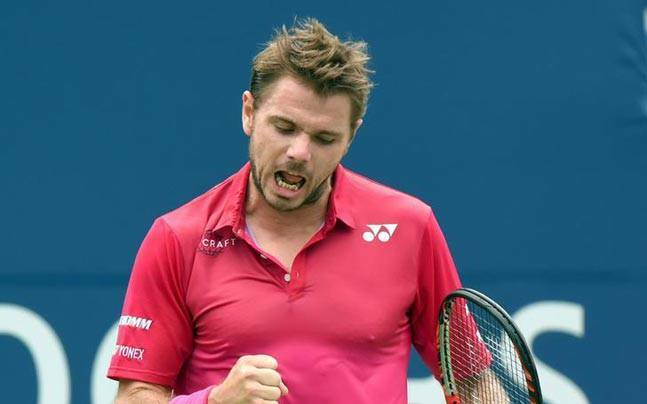 As for this year, Stan Wawrinka looks sleepy all the time but may surprise us. He will be seeded at the top and will wait for other tops to fall short. The Swiss is also capable of showing a super match to outlast Novak or Murray, for example. The Serb and the Scot may surrender as they have really got more than enough this season. Marin Cilic and Juan Martin will have to solve a more difficult task as they will be seeded low and the first 3-4 matches will be against threatening opponents. It may be too much to expect them to lift the trophy, but the both should be viewed among the serious candidates to enjoy a run. Winning odds on the three: 20%. Other players will likely play secondary roles. Rafael Nadal. We don’t consider him to be a real contender for the title. The Spaniard can show decent performance but he has troubles against strong and powerful opponents. Even a number of top-30 players are capable of defeating Rafa. Grigor Dimitrov will also be a headache for his opponents. But the Bulgarian can hardly be viewed as a future champion. Dominic Thiem will have to be counted with after a big rest. Fast courts are less favorable for the Austrian but the five setters are his cup of tea. The whole range of big servers – Ivo Karlovic, John Isner, Steve Johnson, Nick Kyrgios, Jo-Wilfred Tsonga, Kevin Anderson – are all capable of making fuss on New York courts. The South African Kevin Anderson is especially dangerous as he’s in-form and will have to defend lots of points. With that in mind, we’ve mentioned the main contenders who might flourish at the Flushing Meadows in the final Grand Slam of the year. Looking forward for the event to start and invite you to join our betting action!